Years ago I used to visit a shop in Delhi called Fab India. It is still there, but it is now a rather smart home furnishing shop. Twenty years ago, it was much more basic, but still filled with the most wonderful block printed tablecloths, tea towels and fabrics. I can’t tell you how much stuff I used to buy from that shop! 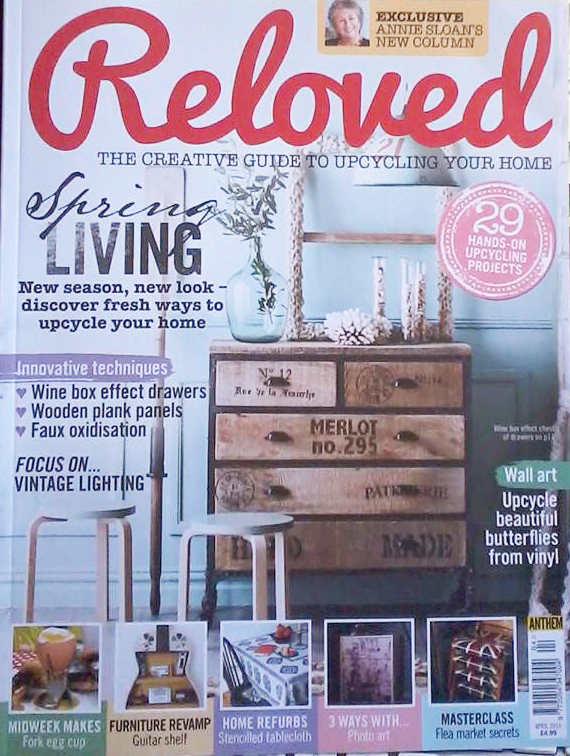 Recently I worked on another piece for Reloved Magazine and decided to return to my textile roots. 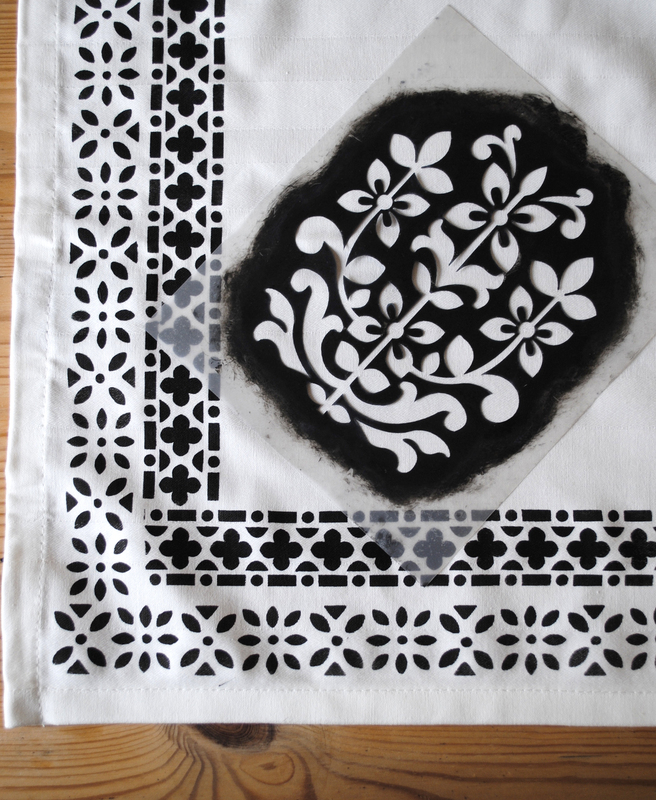 Inspired by those lovely cotton tablecloths from Fab India, I used a selection of my stencil borders and motifs to create a simple, monochrome, Indian inspired pattern. Working with Permaset screen printing ink the design was built up gradually. 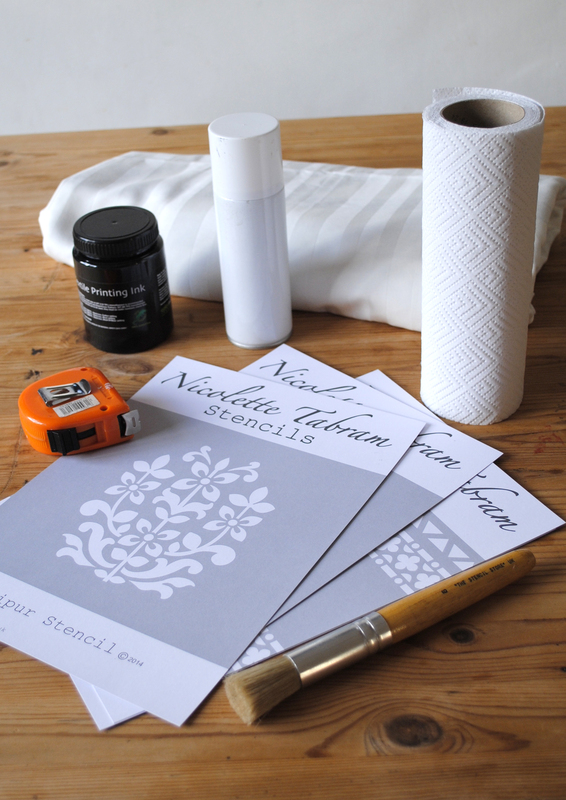 Normally I don’t measure spacing when stencilling, but for this project, I measured the positioning of the Jaipur stencil in advance starting from the centre point. 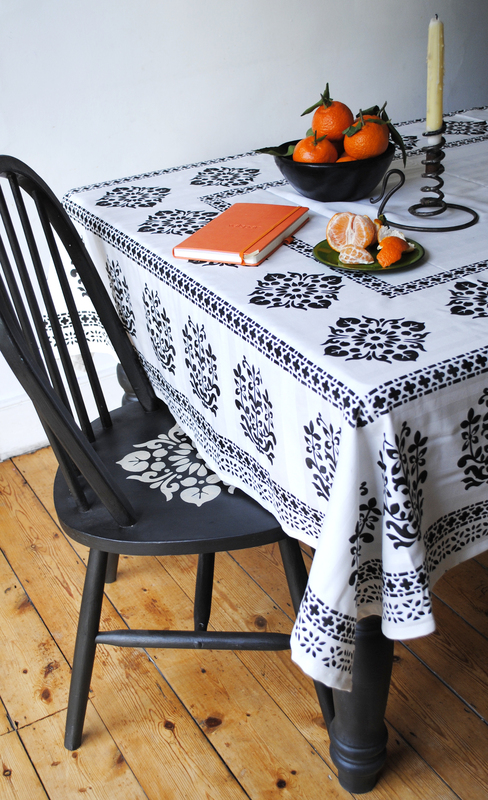 A good trick is to photocopy the stencil motif several times and lay them out on the tablecloth to work out the exact positioning. 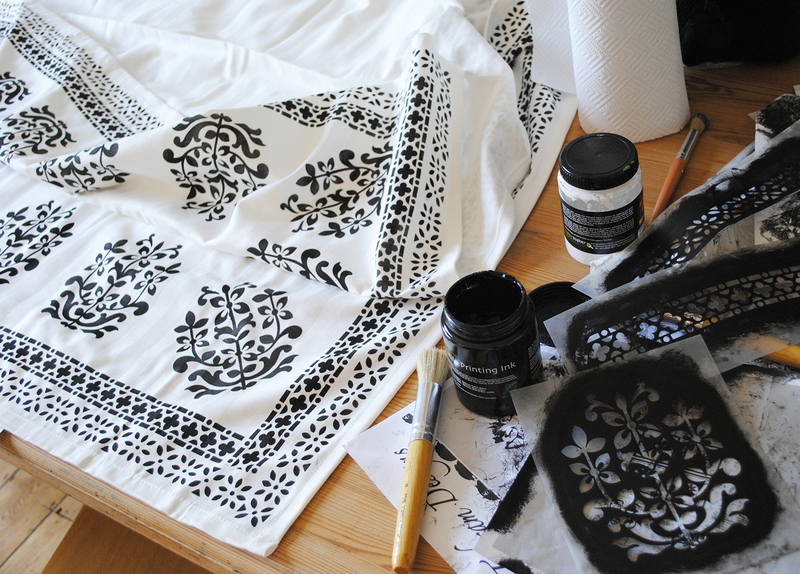 When stencilling fabric, it is always a good idea to place a piece of paper underneath incase the ink bleeds through. 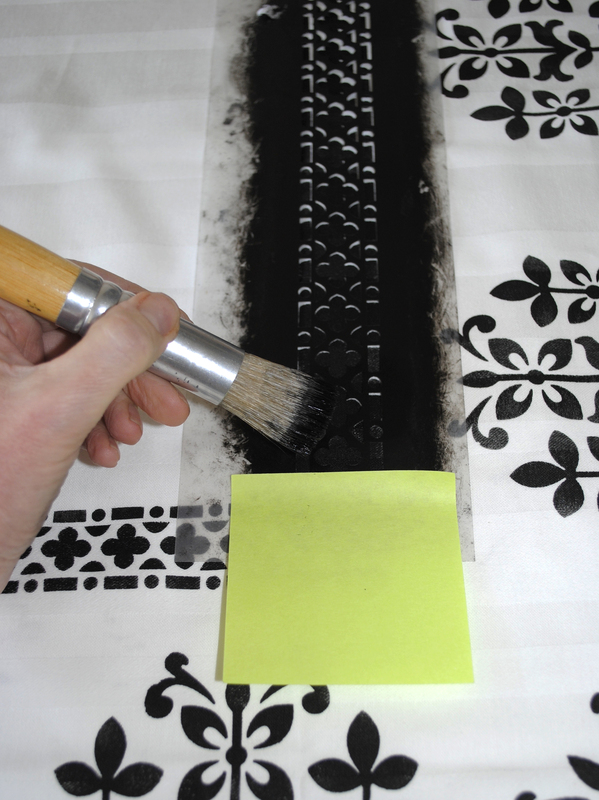 Post-It notes are great for masking off the edges of border stencils when working on corners. The ink takes a little while to dry, but once it is, rub a hot iron over it in order to fix the design and it can then be washed at 40ºC. Normally I am quite relaxed about possessions in my home, if somebody accidentally spills a glass of red wine at a dinner party I rush for the kitchen roll and all is ok. Red wine spilt over this however……….